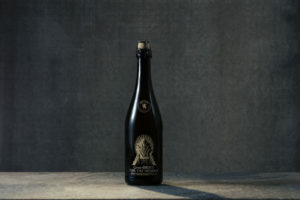 The Game of Thrones fever continues to grow as the latest themed-beer from Ommegang brewery was just announced, aptly named For the Throne, which will be available in April, just when the final season will premiere on HBO. For the Throne will join the other beers in the Game of Thrones collection such as Queen of the Seven Kingdoms and Hand of the Queen. “Delicate yet complex, For The Throne is a tribute to those who aspire to be the final occupant of the Iron Throne. This 9.5% ABV strong golden ale is co-fermented with pinot grigio and viognier grape juices and then bottle conditioned with Champagne yeast to create an ale fit for royalty. The final season of Game of Thrones will premiere on April 14 on HBO.